MANILA, Philippines – A young fan from Kabankalan City, Negros Occidental who became viral for his impressive skills even with his disabilities has impressed Alden Richards. The actor decided to send his fan to school and pledged to pay for everything until he finishes college. Niño touched the heart of the public with his positive attitude and hardwork despite being born with no arms. At 8 years old, the young boy already had impressive carpentry skills. He can even hammer and saw his own wooden toy truck. Niño’s mother, Michelle said that when her boy was born, her family were scared to present the newborn to her due to his disabilities. But years have passed and Niño has proven that he could do almost anything a normal boy can do. 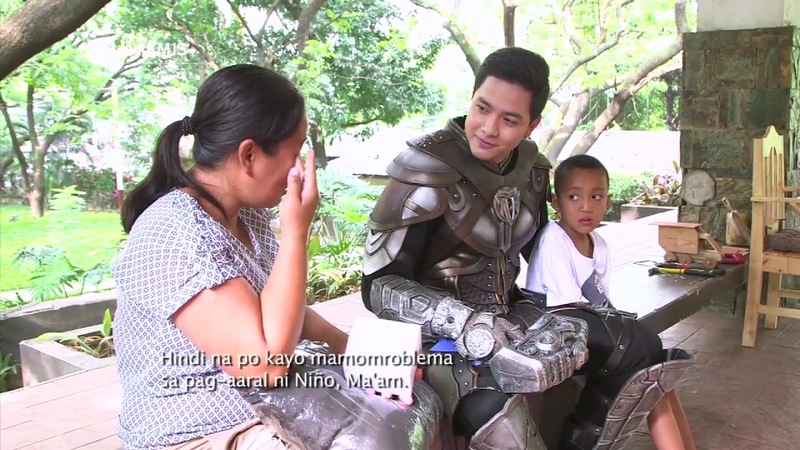 The young boy who defies the odds found a hero he can look up to -- Victor Magtanggol. Niño shared that despite all the difficulties in life, he finds positivity and inspiration in GMA’s newest superhero. And again, the young boy prayed that he could one day meet the actor behind his superhero, Alden Richards. Just like any good story, GMA’s Kapuso Mo, Jessica Soho decided to make a young boy’s dream come true. 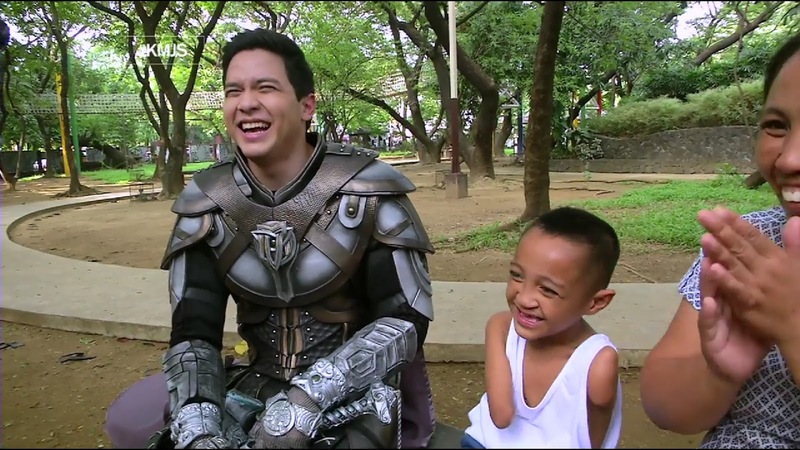 Niño was invited on the set of Victor Magtanggol to meet Alden Richards. With his big smile, Niño was overwhelmed and said that Alden was, “mabait at pogi.” He was also given a specially-made chair to help Niño write and study comfortably while in school. The young fan was also in awe when he was given by Alden his very own Victor Magtanggol’s iconic hammer. Alden also didn’t hesitate to give a young fan a gift that will change his life. The actor told Niño and his family that he will shoulder the young fan’s education up until he finishes college. Michelle and Niño were all smiles and tears. Niño’s story of positivity and determination inspired a lot of netizens. 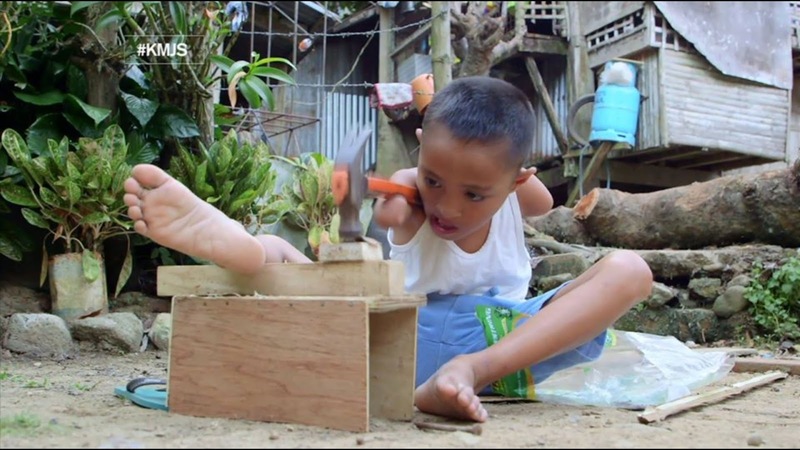 They said that if an 8-year-old boy with disability can rise up amidst hardships, we can too. In the end, both Alden and Niño showed we can be heroes in our way by helping and inspiring others.